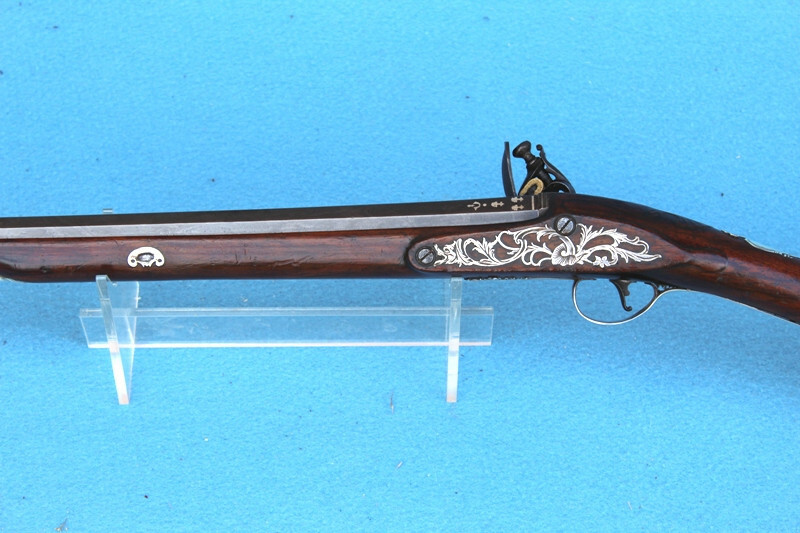 An extremely fine quality single barrel flintlock fowling piece with Spanish Barrel with full silver mounts by Charles Frieth of Birmingham, circa 1774: the Spanish barrel by Pous of Ripol. The English maker unknown. Condition: Steel work is crisp with usual wear: the silver mounts are in fine condition throughout with very good detailing and of the highest quality.